Over 1.6 million British people have moved abroad to live in the last decade with Australia, Spain, the United States, France and New Zealand the five most popular destinations, new research has found. The vast majority, some 74% become expats because they have a definite job to move to, according to the study from Lloyds Private Banking. However, the number moving abroad has slowed down. Between 2006 and 2011, the number of Britons leaving the country averaged 162,667 per year. Since 2012, this average has dropped by 17.5% to 134,400 per year. The annual level of emigration has fallen by over a third, 35%, from 207,000 in 2006 to 134,000 in 2016, the second lowest annual total in the past decade. The most recent estimates suggest there are 4.92 million British citizens living abroad, equivalent to 7.5% of the current national population. 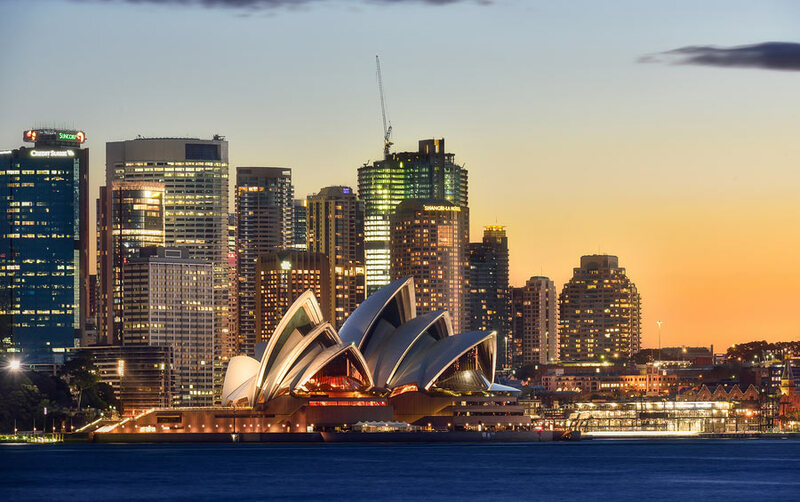 Australia has consistently been the most popular destination for British expats with 385,000 moving there, followed by Spain with 144,000, the US with 132,000, France with 129,000 and New Zealand with 94,000. Canada had 70,000 British expats arriving between 2005 and 2015, the United Arab Emirates 61,000, Germany 49,000, Ireland 20,000, and Switzerland 19,000. The research found that 65% of British citizens emigrating since 2006 have indicated they intend to live abroad for more than four years, 20% intend to be away for up to two years and 8% for between two and four years. The remaining 7% were unsure about their intended length of stay. Perhaps unsurprisingly interest in moving abroad is greatest in the summer, peaking in June and July, followed by the month of January. ‘Moving abroad can be a daunting prospect, but more than 1.6 million British citizens have moved overseas in the past decade. A new life abroad is likely to be one of the most exciting and life changing decisions but there’s also a lot to think about,’ said Peter Reid, expatriate banking director at Lloyds Private Banking. He pointed out that finances are one of the most important. ‘There are a lot of considerations, including an international bank account, tax liabilities and transferring money overseas and it’s important to seek professional advice if you’re thinking of making the move,’ he added. The bank advises would be expats to check out schools if they have children, local laws such as tax regulations, housing requirements and impact on pensions as well as the cost of living and understand how a new lifestyle may be affected by foreign exchange fluctuations. It also suggests finding out about private health insurance as many countries only provide basic provision to expats and use of medical services could incur significant costs. 189 -- masters degree ? Are there no points for masters degree ? Form 26AS & EPF details.